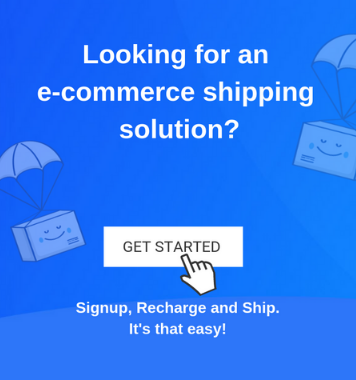 Home / Blog / Shipping Blog / eCommerce Shipping Trends / How To Pack Heavy Items for Easy Shipping? How To Pack Heavy Items for Easy Shipping? As an eCommerce store, packaging is an important part of your business. You must secure your merchandise to avoid damaging it. Moreover, a smart packaging adds to the appeal of your shipment. But, packaging heavy merchandise is neck breaking job, is there a way out. 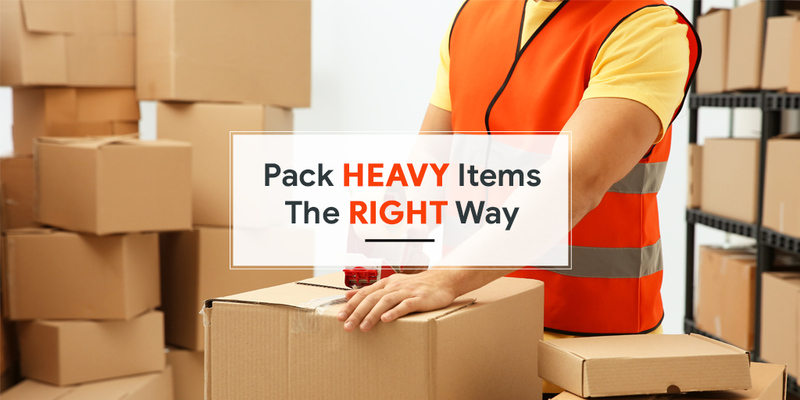 This blog shares information on How To Pack Heavy Items, effortlessly. • Make sure that you have got suitable packaging supplies for packing heavy items. Supplies for smaller, regular items will not work when you ship bulkier merchandise. • You need to have suitable tools and technology to lift these heavy shipments. After all, you do not want to break your back upon lifting them, isn’t it? • Be aware of the freight rules when you send shipment from your preferred courier company. You customers are your lifeline and delivering them merchandise in the top shape is your priority. For starters, when packing heavy items, extra layer of packaging is needed instead of a single one. To ensure the ordered merchandise arrives safely at your customers step, here is what you should do. In the urge to bring down costs, often we try to load all materials in one box. This idea prevails when we try to load heavy, big, or delicate items. Try to spread materials in all the packages. Chances of manhandling or dropping the heavy packet are obvious. So, distribute the weight and bring the weight of each packet under control. A single layer of wrapping like bubble wraps works for smaller items. But when the merchandise is heavy and big, you will need to use thicker packaging layers like thermocol and cardboard. Don’t use masking tape because it will fail to hold heavy weight and will crack the package instantly. This will lead to a damaged product, now you wouldn’t want to ship damaged products to your customers? To break-proof your merchandise, cushion the empty spaces in the box with good packaging material like bubble wrap, thermocol or cardboard. Using just paper would not do any good, as it will become flat. The idea of packaging is to deliver merchandise in perfect condition. The item must remain stable during transit. Therefore, adequate packaging material must be cushioned around the heavy item. Once your initial package is ready, you must put it in another bigger box, which is an inch wider than the first one. To avoid friction and damage to the merchandise, you must add an extra layer of stuffing between the two boxes. If you are shipping fragile merchandise, mention it on the box, and write “This Side Up” for proper and careful handling. If you have multiple attachments with the bigger merchandise, you should place the larger piece at the bottom and the smallest at the top. This balances weight and reduces the chance of breaking the item. The boxes should have enough space to accommodate all packaging materials. For bulkier items use double walled boxes. Wrap each item properly to ensure that the content of the packets do not encounter each other, especially fragile items, and cause damages. Single most reason for damages of heavy items in transit is movement. Secure the items are intact and properly packed for ensuring minimum damages. Place it under the final seal of each box to prevent the damages done to materials due to cutting open by a knife. Also make sure that all the corners are sealed with packing brown tape for extra protection. In case of heavy boxes it is better to use fabric tape. Write address and instruction on separate papers and paste in properly with clear tape for easy viewing. So, how do you pack heavy items for shipping, do share your inputs.